CLEVELAND (Reuters) – A convicted Ohio killer who sought to be spared the death penalty because he was obese died Thursday at a Columbus hospital of natural causes, an Ohio prison spokeswoman said. Post had previously appealed unsuccessfully to stop his execution on grounds his extreme weight created a substantial risk that he would have a “torturous and lingering death” if executed by lethal injection. Post had been sentenced to death by a three-judge panel in 1985 for Vantz’s murder after entering a plea of no-contest. Post’s lawyers argued that previous counsel should not have advised him to enter a no contest plea without assurances he would not face the death penalty. Post told the clemency board he never confessed to killing Vantz, as prosecutors portrayed, and had only confessed to driving a man who he said committed the crime to the motel and waiting in a vehicle outside. MEXICO has long been a country that derives extraordinary pleasure from eating and drinking—and it hasn’t minded the consequences much either. Gordo or gorda, meaning “chubby”, is used by both wives and husbands as a term of endearment. Pudgy kids bear proudly the nickname gordito, as they tuck into snacks after school slathered with beans, cheese, cream and salsa. Your correspondent, having just arrived to live in Mexico City after more than a decade away, finds the increase in waistlines even more staggering than the increase in traffic. Mexico has become one of the most overweight countries on earth, even more so than the United States; a quarter of its men and a third of its women are obese. Indecorously, the country has even come up with figures on figures: the Mexican Diabetes Federation says that among women between 20 and 49, the average waistline is 91.1cm (35.9 inches), more than 10cm above the “ideal” size. Stores are now full of large- and extra large-sized clothing. Time was, a prominent girth may have been enviable proof of relative prosperity. Now, it is a serious health risk. At a conference here on April 9th it was estimated that more than 10m Mexicans, or almost a sixth of the adult population, suffer from diabetes, largely because of over-eating and increasingly sedentary lifestyles. Mexico has the sixth most cases of diabetes in the world. Diabetes is one of the top two causes of death in the country, alongside (and occasionally overlapping with) heart disease. The diabetes federation says that the illness kills 70,000 people a year. However, it gets far less attention than much less deadly diseases such as HIV/AIDS, not to mention organised crime (which is responsible for roughly 60,000 deaths in the past six years). “It could get to the point where we are literally eating ourselves to death,” says Jesper Holland of Novo Nordisk, a Danish health-care company that is a big supplier of insulin to Mexico. The precise causes of the onslaught are hard to pin down. The prevalence of snacking on salty, fatty food and drinking sugar-heavy fizzy drinks appears to be a big part of the problem. Reforma, a national newspaper, reported on April 9th that fizzy drinks accounted for seven out of ten drinks sold in Mexico. There was a rise of more than 2% last year, despite growing pressure in Congress to slam “sin taxes” upon the drinks. On a per-head basis Mexicans drink more Coca-Cola than any other country. Lack of exercise—all that traffic means many Mexicans commute for at least two hours a day—is another factor. Though the swanky parts of Mexico City now boast bicycle lanes, parks with exercise machines and graceful boulevards to run along, on the outskirts, where the health problem is gravest, there are few such amenities. Mr Holland asserts that “economic growth” is a big cause of the illness, especially in developing countries where societies have grown more prosperous in the space of 20 years, compared with hundreds of years in some developed countries. That could be partly true: India and China also have acute diabetes problems. Mexico, however, has not grown faster than other countries in Latin America, and the poor left behind by economic growth are just as likely to snack badly as the more prosperous. What’s more, Mexican-Americans in the United States are almost twice as likely as non-Hispanic whites to be diagnosed with diabetes, which suggests there are powerful genetic factors at work, too. Perhaps for Mexicans the biggest problem is living next door to the United States, which means the fast food and super-sized culture has a particularly strong influence. So do the American food and drink giants who sell vast quantities south of the border and have already proved adept at fending off sin taxes and other forms of anti-obesity regulation in the United States. In a country like Mexico where there is not much stigma attached to being overweight, there would probably be stiff opposition to regulating consumers’ behaviour, especially as measures such as higher taxes on soft drinks would fall disproportionately on the poor. Instead, the government should play up gluttony as a killer, as it does with cigarettes—especially in school, where a third of children are said to be obese—and literally scare people off their junk food. Diabetes provides that opportunity. Given Mexico’s extensive public health-care system, the state foots the bill for the sharply rising cost of diabetes treatment. There is huge public interest in giving it more prominence. So, is obesity going to lead to more deaths than not getting enough food this year for the “first time” in history? No. Has there been a shift in such risk factors for deaths in the last 20 years? Yes. Bloomberg, who has attracted national attention for attempting to ban the sale of sugary drinks over 16 ounces, has repeated this talking point several times since last summer. When we asked Bloomberg’s office about the mayor’s remarks, spokeswoman Samantha Levine told us that the mayor meant that this year, there would be a continuation of the years-long trend, not that this year would be the first time obesity-related deaths would outnumber underweight-related deaths. “The Mayor was noting that more people are dying from obesity than from hunger and that — over [the] course of human history — this is the only period of time that has occurred. This year that trend will continue,” she said in an email. That point may be lost on viewers and listeners of Bloomberg’s interviews on this topic, particularly since he uses the future tense and the “first time” stipulation. It’s unclear exactly when this change occurred for worldwide statistics, but it would be sometime between 1990 and 2005, according to figures provided to us by the Institute for Health Metrics and Evaluation, which publishes the Global Burden of Disease Study with the help of hundreds of coauthors. The study determined that in 1990, childhood underweight was the sixth leading risk factor for premature death worldwide while having a high body mass index (being overweight or obese) came in ninth. The institute told us that in 2005, childhood underweight had dropped to the 11th leading risk factor while high body mass index moved up to seventh. In 2010, being overweight or obese moved up one more spot, to the sixth leading risk factor for death globally, and childhood underweight stayed in 11th place. The institute could not provide year-to-year statistics. Note that these are risk factors for premature death, which would also include behaviors and conditions such as smoking, drinking alcohol or having high blood pressure. They are the factors that lead to death, but the causes that would be listed on death certificates would be heart disease, diabetes, cancer, cholera, pneumonia, malnutrition, and so on. For instance, being overweight could lead to death from heart disease. Being overweight is the risk factor; heart disease is what’s on the death certificate. The Institute for Health Metrics and Evaluation told us that 2.3 million children worldwide died due to being underweight in 1990; in 2010, the number was 860,000. That’s a 63 percent drop. Similarly, 2 million deaths worldwide in 1990 can be attributed to high body mass index; that shot up to an estimated 3.4 million people in 2010, an increase of 70 percent. The world’s population, of course, also increased during that time — from 5.3 billion in 1990 to 6.9 billion in 2010, a jump of 30 percent, according to the U.S. Census Bureau. The shift certainly means that obesity is a global problem, but it also shows that there have been great successes in fighting infectious diseases that affect underweight children. Those children can die from communicable diseases because they’re more susceptible to them. Letterman: And what would be the statistics of people who are dying of starvation versus people who are dying from obesity? Bloomberg: For the first time in the history of the world, more people will die from overeating than under-eating this year. Bloomberg: It’s all happened in the last 20 years. Bloomberg is wrong to say that this “will” happen for the “first time” “this year.” He would be correct to say that this shift has occurred sometime in about the last 20 years. People are also living longer — another success story, Mokdad said. But as we’re living longer, chronic diseases become more of a problem, too. Bloomberg’s office referred us to the WHO to back up his claim. A WHO fact sheet attributes at least 2.8 million adult deaths each year to obesity or being overweight and attributes certain percentages of health problems to high body mass, saying that “44% of the diabetes burden, 23% of the ischaemic heart disease burden and between 7% and 41% of certain cancer burdens are attributable to overweight and obesity.” But the WHO couldn’t provide more detailed data on overweight versus underweight deaths. It referred us to the institute at the University of Washington for the most up-to-date statistics. The report looks not only at death but also ill health, using a measurement it calls disability-adjusted life years, or DALYs, which are years of life lost to premature death and disability. High body mass index, or BMI, was a major contributor to DALYs in 2010, as it was in 1990. But it increased dramatically and surpassed childhood underweight, which was a more significant risk factor in 1990. The report notes, however, that such global rankings “mask important differences across countries and regions.” Childhood underweight in 2010 was still the leading risk factor for premature death and disability in most countries in sub-Saharan Africa. It was the No. 1 risk factor in 14 African nations and the second or third leading risk factor in six other countries. However, Mokdad said it was correct for Bloomberg to say that obesity “has gone from a rich person’s disease to a poor person’s disease.” He said the problem, with the exception of some African nations, has spread throughout the world to both rich and poor communities. “It’s not the composition of your diet, how expensive it is,” he said. It’s how many calories one consumes. Public health experts have been predicting for some time that unhealthy lifestyles would surpass infectious diseases as a major killer in the developing world. An April 6, 1993, United Press International report said that the WHO estimated that 45 percent of deaths in developing countries were due to unhealthy living, but that would increase to 60 percent by 2015. Unhealthy living would account for 75 percent of deaths in industrialized countries, the WHO said. A few years later, in 1997, the WHO again said this shift in global health was occurring: “Indeed, overweight and obesity are now so common that they are replacing the more traditional public health concerns such as undernutrition and infectious diseases as some of the most significant contributors to ill health,” it said in a report on a 1997 meeting on obesity in Geneva. In a 2004 report, the organization said that “a profound shift” had happened in the causes of death and illness in developed countries and was under way in developing nations, as noncommunicable diseases increased. That’s the shift the Global Burden of Disease Study noted in its 2010 report. And the one Bloomberg could accurately describe as having occurred “over the past 20 years,” not “for the first time … this year,” as he has repeatedly said. Mayor Bloomberg’s ban on the sale of super size soft drinks was reversed last week by NY State Court. The court determined that the Mayor did not have the authority to impose such as ban. The Mayor is appealing that decision. This controversy brings to the forefront a discussion on how much power the government should be given by the people, assuming we live in a democracy. Governments by their very nature have a tendency to increase their power and control over citizens. Yet, without some form of government and authority, society would plunge into anarchy and chaos would follow. In the dream world of the ultra conservative, we do not need government except maybe for the military, law enforcement and the courts. Good-bye FAA, FDA and EPA; let airplanes collide, medicine kill and air poison. The ideal for the extreme left would be ever-increasing government intervention in our lives to resolve national and global problems that individuals and corporations cannot handle by themselves. In that dream (or should I say nightmare) the government would decide what we eat and how much, what we wear (or not) and most likely what god we worship, or rather make sure we don’t. Obesity has become an epidemic. In NYC, 5,000 people will die this year alone of medical condition cause by over eating. According to Dr. Thomas Farley, the New York City Health Commissioner, $2.8 billion a year is spent on government health programs in care for obesity-related diseases. It has been estimated that 1/3 of the population in the U.S. is obese. While historically obesity was a disease of the rich, it has now become a disease of the poor because of lack of proper education on healthy eating habits and because fast food is cheap. On a global perspective, today, according to Mayor Bloomberg, there are more people dying of obesity than there are people dying of hunger. Michael Mudd, a former senior executive in the food industry writes in his March 16, 2013 New York Times OpEd entitled How to Force Ethics on the Food Industry believes that the industry should stop “enticing people to consume more and more high-margin, low-nutrition branded products.” He says that the excuse of “we give people what they want” in many ways similar to the excuses given by the tobacco industry is not credible. We can also look at this issue as one of finding the right balance between freedom and responsibility. How much of our individual freedom are we willing to give up to save other people’s lives? The United Nations has been drawing attention in recent years to the growing burden of non-communicable diseases, which have been adding to morbidity and premature deaths in most countries. In a declaration issued at a high-level meeting in 2011, the U.N. argued that low and middle income countries should actively pursue public health policies that will reduce the incidence of NCDs arising from diabetes, hypertension, high cholesterol, and a high body mass index. One of the countries that is at the epicentre of these health concerns is India, due mainly to weak public health policies and changing lifestyles. As The Lancet points out in recent commentary, much of the burden of non-communicable diseases is linked to the consumption of tobacco, alcohol, and ultra-processed food and drink (which are energy dense but nutrient poor). The public health community now unanimously accepts the link between these and a higher burden of NCDs. Neglect of chronic diseases by India has, according to the World Health Organisation, cost the country $9 billion in 2005 due to premature deaths caused by heart disease, stroke and diabetes. Over a 10-year period, the losses are projected to rise to a colossal aggregate of $237 billion. While tobacco and alcohol are receiving close scrutiny as key factors influencing disease burdens, including cancer, the role of ultra-processed packaged food is not getting the attention it deserves. The makers of all forms of packaged food see India as a gigantic emerging market — and source of profit growth. Moreover, advanced markets are saturated. It is here that regulation of unhealthy food holds the key. The primary goal should be to use taxation, labelling and awareness creation to make high-energy, low nutrition foods unattractive to the consumer. There is a deplorable trend among food manufacturers to push less harmful packaged food as being actually ‘healthy’. This travesty must be reversed through determined policy intervention, and consumption of wholesome, fresh meals high in vegetable and fruit content must be encouraged. It is relevant to point out here that the biscuit industry has been lobbying in India to displace fresh-cooked food in the school noon meal programme, with its own packaged products, drawing sharp criticism from nutritionists and development experts. Packaged meals high in calories, sugar and salt are no substitute for fresh food and actually cause harm. They can only add to the risk of death by cardiovascular disease, estimated to be about five million by 2020. By contrast, a dramatic decline in death due to infectious diseases is projected. The agenda for social and political action is clear. 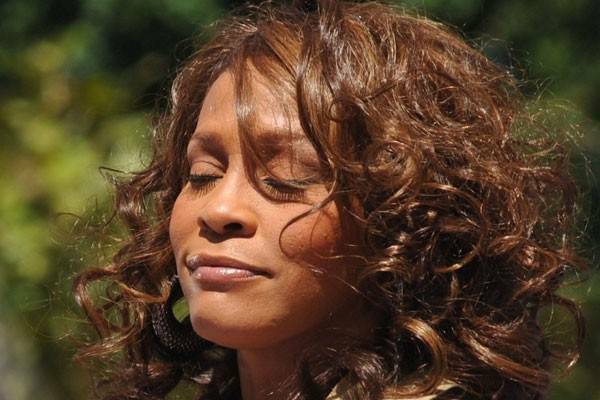 Whitney Houston was found dead in the hotel room of the Beverly Hills Hilton on Saturday on the eve of her scheduled appearance at the Grammy Awards. There is much speculation as to the cause of the diva’s death with some claiming she overdosed on a combination of prescription drugs and alcohol that led to her drowning in the bath, but as yet no official cause of death has been given. The pop star who had a string of successful hits during the eighties including several number ones had a record of substance abuse and personal problems that many blame ex husband Bobby Brown for – as he is said to have encouraged her to take drugs in the first place. Although Houston herself admitted that she used cannabis before she even met Brown. The couple both shifted to harder drugs before long and their marriage eventually fractured after they both became drug dependent and Brown reportedly became violent. Houston was just 48 years old. It was inevitable that the coroner’s report would eventually site alcohol as the cause of Amy Winehouse’s death back in July this year. Alcohol had played its part in the downfall of the chanteuse ever since I first saw the singer wandering the back streets of Camden Town, London like she was white trash. And then her image as ugly drunk and sad junky transmogrified very quickly to ‘troubled’ just because she ceased breathing. It was all change in the media then. Troubled is not a hat that most drinkers have the luxury of wearing. That kind of headgear is only used to describe drinkers in the arts – when being an inveterate drunk is not only allowable but considered dreadfully cavalier and fashionably rock & roll. 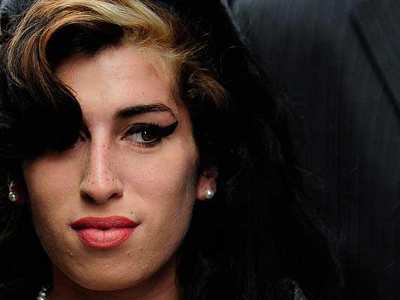 Amy Winehouse spent most of her famous adult life being heralded for all the wrong reasons. It was only once she pegged it that everyone became an Amy sympathizer. Prior to that most people sat smugly behind their desks entertaining themselves with the ‘hilarious’ images of the blood soaked, out of control, pisshead junky, which probably made them feel a tiny bit better about their grey office jobs. Anyway, the autopsy results have now been published and revealed that she had an excess of five times the legal driving limit of alcohol in her bloodstream when she ceased to be. Which means 80mg of booze per 100ml of blood. In real terms that equates to about two pints per man. Probably half that for a young woman the size of a matchstick. So, about five pints or so. I imagine most young women who hang around in London’s oh so fashionable Camden Town (so trendy, even people who work for MTV and who present youth programs and their entourage of hangers on are often found drinking there!) and binge drink regularly, much like Amy did, are generally five times the legal limit for alcohol. Amy’s death, that everyone likes to call ‘untimely’, perhaps because she wasn’t due to die for another six months, was a fitting end to young woman who had been flirting outrageously with death for several years. Her young mind and lack of bloated ego were no match for the despicable fame machine and unprincipled media. People like Lady Gaga and Madonna are born to be famous. They counter their inadequacies by demanding attention for themselves in other ways. Beseeching us – total strangers – to adore them. Winehouse didn’t crave fame. She wanted to go drinking down her local London pub with her friends and go shopping at Top Shop. She wasn’t cut out for fame. And it was fame and its henchmen that killed her. 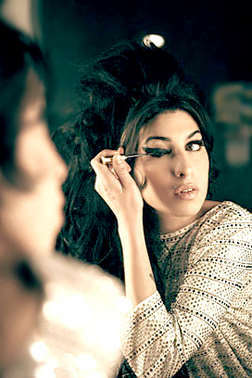 Winehouse’s father, seems to be prospering from the passage of his daughter, and has recently signed a book deal. What with his singing career that was launched off Amy’s back, the tax-free Amy Winehouse Foundation and the book deal, he seems to be doing perfectly well without her. And that’s without the rest of her £10million estate. I wonder how many people have given up drinking after seeing the effect it had one one woman? Sadly, not enough… if any. There is a comment box below. It’s for comments if you have one. Or abuse if you are mad or angry. Thanks for reading.